Why Can't I Learn French? All Your Questions About French, Answered! Why Can’t I Learn French? All Your Questions About French, Answered! Today, our advice columnist, Polly Glott, is here to help you with your French language conundrums. My inbox runneth over with questions about learning French! Many of you are wrestling with French spelling. Several are wondering why French has five different accent marks. One or two of you lamented that you can’t practice speaking French with anyone, since there are no French natives or French students in your area. A few of you are puzzling over the peculiarities of French numbers. More than a few of you complain that you’re dozing off while reading your French textbooks. Learning French can be challenging, but it’s certainly not impossible. If you’ve been asking yourself “why can’t I learn French?” then read on. We’ll tackle your French learning difficulties together. Soon you’ll be saying, “Oui, je peux apprendre le français!” (Yes, I can learn French!). The French language is a delight to my ears, and a puzzle to my eyes. I’ve always loved the sound of French. But when I look at written French, I never know which letters to pronounce. Where can I find the secret decoder ring to unlock the enigma of French spelling and pronunciation? Believe it or not, French spelling and pronunciation tend to be fairly consistent. So, how can you familiarize yourself with the correct pronunciations? Seek patterns in son et orthographe (sound and spelling). Look at common homophones, like the ones in this list. Discover different ways to make the same sounds in French. For example, haut (high), aux (to/at the) and eau (water) all make a sound similar to a long “o” in English. Once you’ve mastered all the different letter combinations that can sound like a long “o,” move on to the combinations that sound like long “a,” etc. When you focus on the commonalities instead of the differences, you’ll start to see patterns in written French that will prompt you to use correct pronunciations. Listen to a French audiobook while following the written text. Sites such as Loyal Books offer free audio versions of hundreds of public domain books paired with the text of the books. Follow along with the text as you listen, and you’ll connect the written words with their proper pronunciations. Watch French videos captioned in French. French movies on certain streaming services, such as Netflix, can be captioned in French. You’ll see the French words as the actors say them—letting you match pronunciations to spellings. You’ll just need to be careful, as sometimes the French captions don’t match the spoken lines exactly. To make your French video experience even more interactive, try the broad selection of videos on FluentU—including film trailers, TV commercials, music videos and news broadcasts. All of FluentU’s French videos are subtitled in French and English. And since FluentU is designed for language learners, you can rest assured that the captions and translations are all accurate. If you’re not sure about one of those pesky homophones, you can click on individual words for direct translations. You’ll soon be buzzing with excitement as you master French spelling and pronunciation! I really want to learn French, but all of those accent marks stress me out. I mean, it’s hard enough learning the spelling and pronunciation—much less remembering what all these new words mean—without having to think about whether or not I’m supposed to scribble one of those silly squiggles on some of the letters. And forget trying to do those online language exercises! Just when I think I’m doing well, I get downgraded because I forgot an accent mark. What’s the big deal with these things, anyway? We’ve got millions of books written in English that have no accent marks. Why can’t I get through a few measly sentences in French without one? Accent marks—also known as diacriticals—are a rich and helpful part of the French language. While they might seem optional to native English speakers, they play several important roles in French. 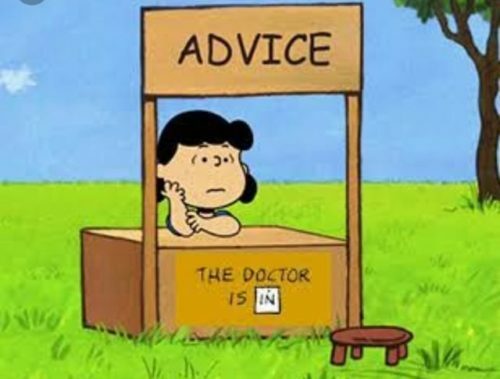 My advice? Besides helping with your pronunciation, accent marks distinguish words that are written nearly the same way, such as tâche (task) and tache (stain). Accent marks provide useful clues about meaning. For instance, the accent circonflex (circumflex accent) shows where the letter “s” used to live. How handy is this? Well, you can tell that the word hâte used to be haste—identical to its English cousin, haste. So stopping hating accent marks, and make haste to learn them. Anchor accent marks in memory. Now that you see how useful accent marks are for learning French, make them part of your French repertoire by using vivid and amusing mnemonics like these. Crack the keyboard code. Learning to type French accent marks will speed up all those online exercises and facilitate French composition. Are you using an onscreen keyboard, like the kind found on smartphones and tablets? If so, adding accent marks can be as simple as holding down a virtual letter key and swiping the screen a certain way. A little more effort is required to create accent marks using a physical keyboard. But once you crack the keyboard code, you’ll save yourself lots of time. Several comprehensive guides are available online. This one provides instructions for producing French accent marks in Windows, on a Mac, in HTML and even on Linux. Try these tips and tricks, and you won’t miss the mark! I would love to learn French, but none of my friends speak it. I’ve tried conversing with my French poodle, but he hasn’t been very responsive. How can I ever learn to speak French well without anyone to talk to? Don’t despair! The internet makes finding French-speaking friends easier than ever. Join a local French Meetup group or Cercle Français (French Circle). With a quick search, you can probably find a French-language Meetup group in your area. Groups often meet in coffee houses, restaurants or libraries—even grocery stores. Look on local colleges’ websites to see if they host a Cercle Français (French Circle). Geared toward university students, the Cercle Français often welcomes any member of the local community who’s interested in French. It may offer cultural events, such as lecture series, for little or no cost. Find an online conversation partner. If you prefer one-on-one conversation to a group setting, a French conversation partner might suit you perfectly. Your partnership can be strictly online, if that’s more convenient. Reddit has a section devoted to finding language exchange partners. Want to meet with your language partner via Skype? The Mixxer can facilitate that connection for you. Language Exchange is another free site where you can find a remote or local conversation partner. Make the most of your Francophone talk time. In the beginning, speaking with French conversation groups or partners can be intimidating. Optimize your time with your new Francophone amis (friends) by following these tips. Best of all, you’ll no longer be barking up the wrong tree with your French poodle! The French number system is such a mystery to me. I do okay up until soixante-neuf (sixty-nine). But when I need to use any of the numbers from seventy to ninety-nine, I find myself reaching for an aspirin and an abacus. Why is the French number system so odd? And how can I ever remember all of these strange mathematical combinations? Standard French has a somewhat complex counting system. It’s all part of the language’s charm. Discover the history behind the mystery. Many world languages, including French, express some of their numbers using multiples of twenty. (This is known as a “vigesimal” system.) When chieftain Ragnar and his merry band of Vikings seized Paris in the ninth century, they brought this type of numbering system with them. Celtic tribes in Brittany during the Gallic era would have carried a similar numbering convention to France. As a result, French speakers still do some of their counting in scores—just like Abraham Lincoln at the start of his most famous speech. How can you learn to count in scores? Try keeping score. Tune in to French-language broadcasts of sports matches. Numbers abound in French-language sports broadcasts. Player numbers, statistics and scores are all part of the excitement. French numbers will become second nature to you through Formule 1 (Formula 1 racing), voile (sailing), foot (soccer) or basket (basketball). If watching videos of sporting matches or player interviews doesn’t appeal to you, consider another approach. Learn through apps. With apps like French Numbers to Words, you can type in a number, then try to say it in French before hitting the “convert” button. Test your auditory comprehension of French numbers with the quiz game Chiffres: Guess French Numbers. Keep practicing, and you’ll soon have a knowledge of French numbers that you can count on. For years I’ve struggled to learn French. My weakest point is grammar. I can’t seem to remember all of those verb conjugations. When I tried to learn French verbs by memorizing “l’Art de Conjuguer” (The Art of Conjugation), the book turned to dust in my hands. Now, instead of a Bescherelle, I have a powdered Béchamel. And I still haven’t learned my verbs. What can I do to get past this hurdle? Put the dry grammar books aside. Books like “l’Art de Conjuguer” can be an invaluable reference, especially if you’re writing an essay in French. That said, they weren’t meant to be memorized. Some studies indicate that formal grammar study isn’t as effective as learning grammar informally. When you learn grammar informally, you learn it within real context—which is a much more natural way for your brain to absorb it. Remember that learning a language shouldn’t be boring. French is a living, breathing language, with hundreds of millions of speakers throughout the world. It dances vibrantly outside of your grammar books—and you can do the can-can with it! Loosen up and find real-world source materials that will hold your interest, even as they painlessly teach you grammar. Learn grammar naturally through multimedia. One particularly dynamic way to learn grammar is through multimedia. Practice your plurals while singing along to a chanson (popular song). Learn new verb tenses while watching the Francophone news. Looking for all of these resources in one place? 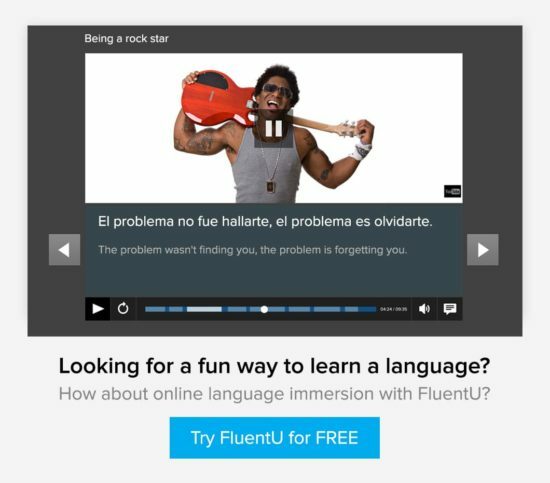 Depend on lively FluentU videos to get you through dependent clauses and beyond without a single yawn. Use these engaging resources and you won’t be thirsting for French language excitement. Have a question about learning French? Send it to our advice columnist, Polly Glott via Twitter or Facebook. She’ll have an answer for you faster than you can whip up a soufflé!